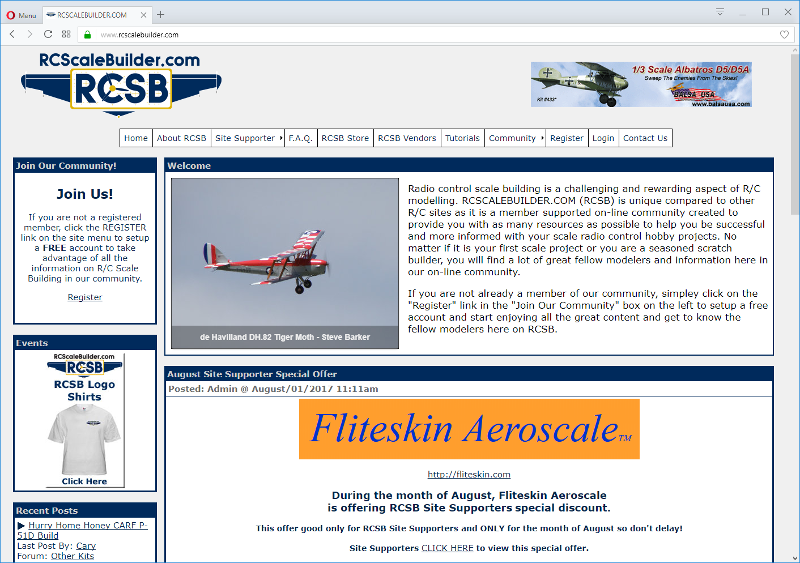 RCSB is a hobby community site that has over 16,000 active members and is a world-wide community for this hobby. This site has matured over a 15 year period and continues to grow. This site was developed in Classic ASP and has sub-systems written in ASP.NET and uses a couple of Ruby based web services on the back-end.